Homeowners in Carlsbad, California, have been trusting Kilter Termite and Pest Control with rodent removal services since 1992. Rodent control is intricate work that requires extensive knowledge and skill to perform successfully. That’s why we have a team of highly trained and experienced technicians to complete all of our projects, which has earned us an outstanding reputation and record of customer satisfaction. In fact, we were named one of the best pest control companies in the nation by the leading industry publication Pest Control Technology. 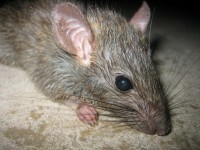 Additionally, Kilter doesn’t simply leave you to deal with the mess rodents have left behind in your home. Throughout the process, we’ll help restore sanitary conditions and offer additional restoration services. For example, if rodents have nested in your insulation, we can replace it with TAP Pest Control insulation, adding an extra barrier against future infestations. Kilter Termite and Pest Control is ready to put an end to the rodent infestation in your Carlsbad, CA, home. Contact us today to schedule your free inspection and to learn more about our rodent removal services.